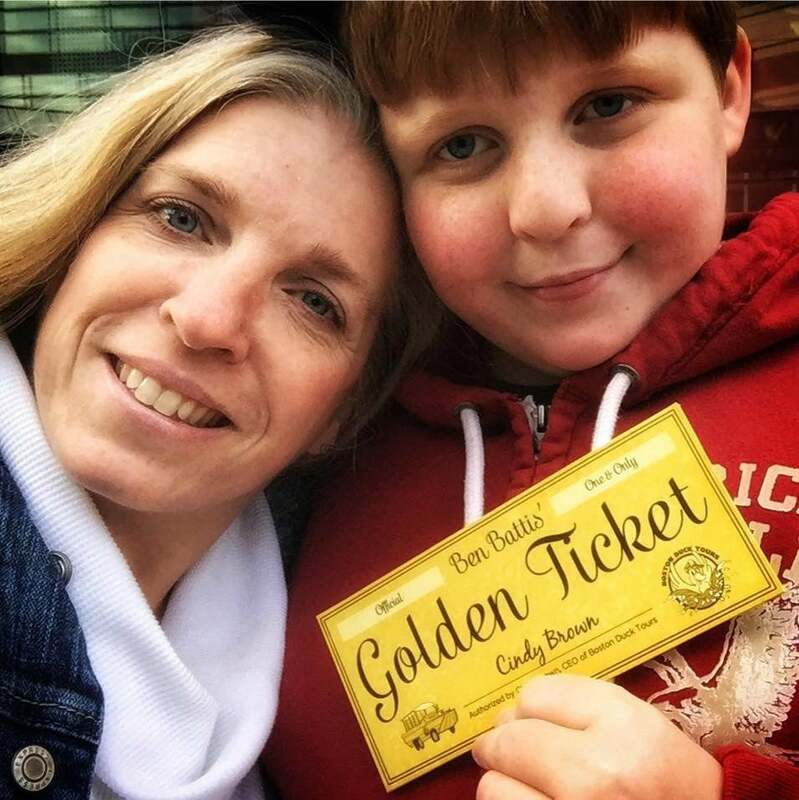 It took her more than a decade, but once she found a place that recognized her son's unique challenges, Samantha Battis watched him flourish and blossom. 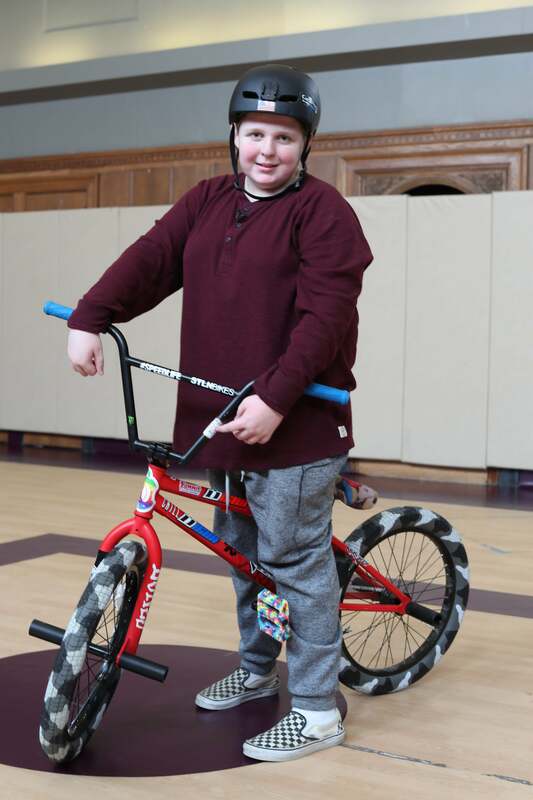 From the outside, Benjamin Battis looks and plays like any other boy: clear blue eyes, a disarming smile, and a passion for locomotives and BMX bike tricks. But his mother, Samantha, noticed certain behaviors throughout his development that hinted at something unseen, something that was holding Ben back. Samantha first noticed things weren’t quite right when Ben was three months old. Her years as a nanny made her sensitive to the expected behaviors of infants, and her son was acting in unexpected ways. Instead of playing, he would concentrate with an intense focus on his toys, like watching the wheels of his overturned trucks as they spun around and around. With the unshakeable feeling that something was amiss, Samantha took Ben to the pediatrician. Months later, when Ben was 17 months old, Samantha was forced to remove him from his playgroup after the other mothers raised their concerns about his troubling behavior. “At that age, loud noises and sudden movements were really scary to him and he couldn’t decipher what was going on around him, so he would act out aggressively,” said Samantha. 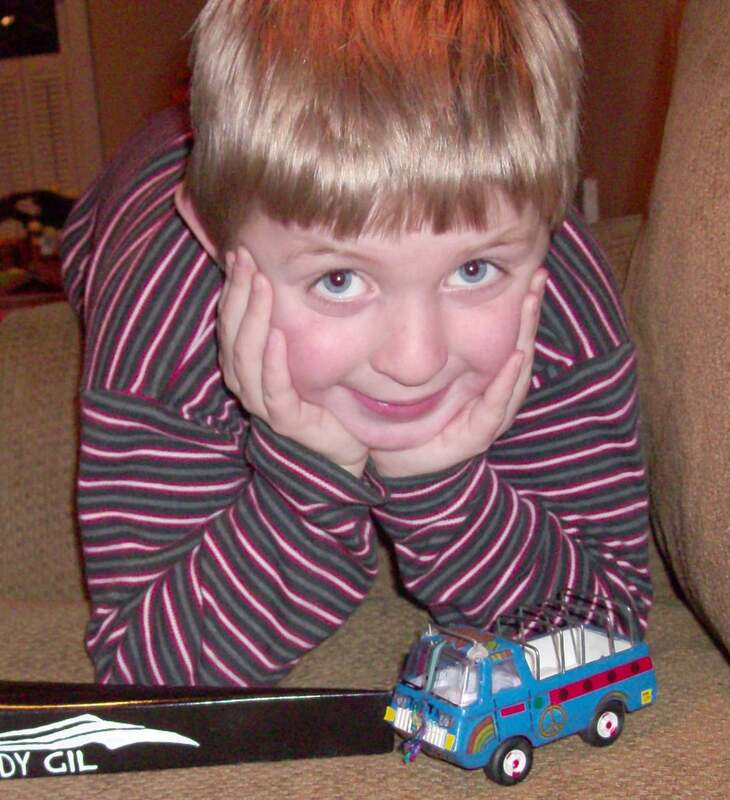 After four years, six pediatricians, and nearly 50 appointments with specialists, Ben was diagnosed with Asperger’s Syndrome, a condition that now is encompassed by the diagnosis of Autism Spectrum Disorder. Finally, Samantha had an answer. But her journey to find Ben help was far from over. Armed with an official diagnosis, Samantha visited dozens more specialists over the next seven years looking for the right help for Ben. Growing up, though he was able to speak, his use of verbal communication was limited and he would often communicate physically with grunts, hand gestures, and—when he felt angry or frustrated—punches and kicks. His diet was severely restricted, only consisting of fast food, which he ate multiple times a day. Most alarming, however, was Ben’s aggressive—and sometimes violent—behavior at school when he became scared, confused, or upset. After multiple unsuccessful attempts at finding Ben a school setting that suited him, Samantha knew she needed to find him help, fast. 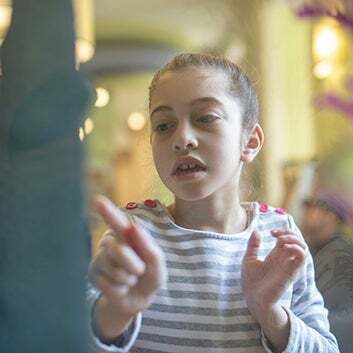 One day, while browsing a Facebook group for mothers with children on the autism spectrum, Samantha came across a flyer for the Lego Club at Franciscan Children’s in Brighton, a place that specializes in helping children with complex medical or behavioral conditions. A social skills group centered on reinforcing interpersonal skills like sharing, using eye contact, and taking turns, Lego Club seemed like the type of place where Ben could thrive. After signing up and making the two-hour drive from Rochester, N.H., Ben settled into his new therapeutic social skills group and Samantha got to know the program’s director, Dr. Shoshana Fagen, a clinical psychologist who works in Franciscan’s outpatient mental health department. Her first conversation with Dr. Fagen left Samantha feeling confident that after nearly a decade of searching, she had finally found the person, and the place, to help her son. “When we found Dr. Fagen at Franciscan Children’s, it was probably the first time I was able to breathe a sigh of relief,” said Samantha. During Lego Club, Dr. Fagen noticed early on that Ben was very social and enjoyed interacting with his peers. She also recognized that, like any child, Ben had his good days and his bad days, but as long as he was respected and listened to, his good days and bad looked just like anyone else’s. 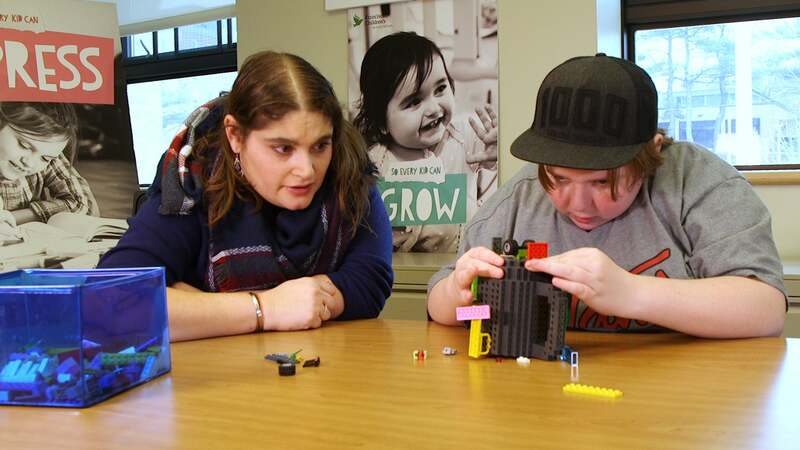 This insight into Ben’s behavior would be key to his treatment beyond Lego Club, when he and his mother started seeing Dr. Fagen for weekly one-on-one therapy sessions. Dr. Fagen realized early on that they were up against a lot when it came to Ben’s treatment. The experiences that Ben had gone through in his life—hundreds of fruitless doctors’ visits and experiences at school that made him hate even the mention of the word—all had made him wary of the world and doubtful that his words carried any weight. But Dr. Fagen had a plan. The first step was to gain Ben’s trust. To do this, Dr. Fagen listened to what he had to say and never pushed him to do more than he was comfortable doing. Over time, Ben saw her less as a doctor and more as an ally, someone who—at last—took the time to understand him. Soon after starting work with Dr. Fagen, Samantha and Ben were introduced to a team of specialists, all with the shared focus of helping Ben in as many ways as they could. The ability to integrate all of Ben’s medical treatments under one roof has been transformative for both him and his mom. At first, Ben was hesitant to visit so many new caregivers, but Dr. Fagen attended a majority of his appointments – a reassuring presence that no one was going to make him do something he didn’t want to do. Over the past two years, through the hard work and patience of those committed to helping him, Ben’s transformation has been astounding. In the past, Ben would act out aggressively and default to physical means of communication; he now uses his words. He speaks up because he knows there are people who will listen. Instead of running between doctors’ offices, Ben and Samantha can rely on one facility that has everything they need, which leaves more time for Ben to be a normal kid. He loves to ride the T and knows every stop on every line by heart. He’s a talented bike rider, complete with a customized bike and an evolving roster of tricks he practices faithfully. He’s also a truly creative soul who has designed his own Halloween costumes for the past three years. 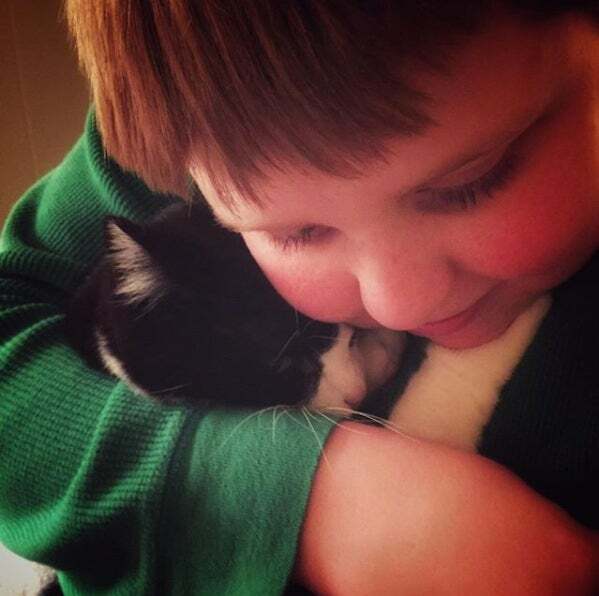 But to Samantha, the biggest accomplishment of Ben’s treatment has been getting him back on track with his education. To learn more about children like Ben and the services that Franciscan Children’s provides, please visit franciscanchildrens.org. 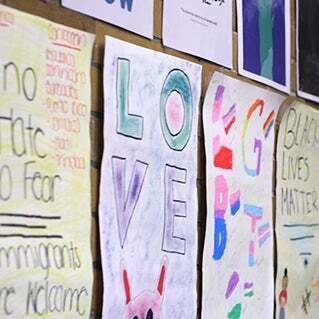 The Children’s Wellness Initiative helps students reach their highest potential by providing mental health counseling in Boston Public Schools—and approaching it like any other subject in their schedule. 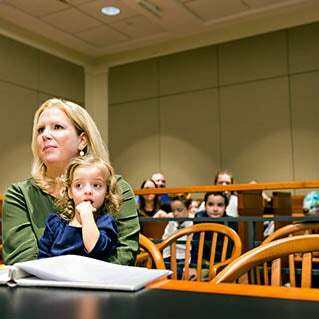 One nurse’s journey to becoming an adoptive mother. 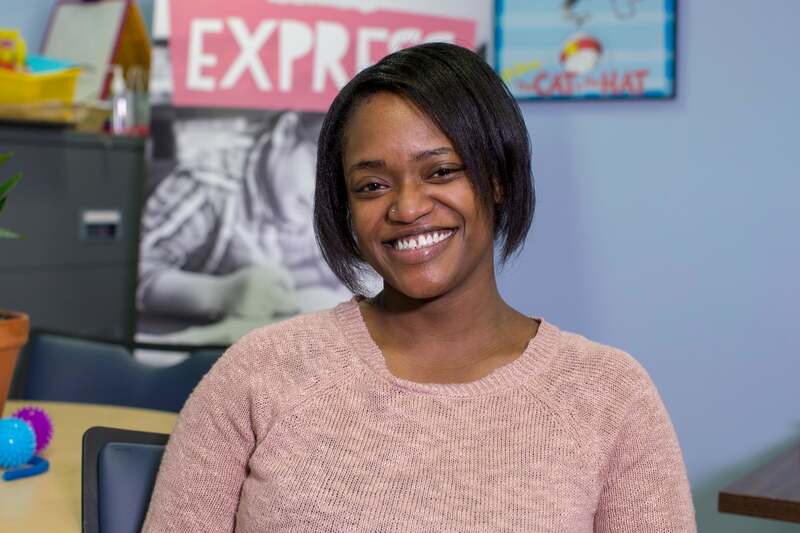 After years of hospital stays and uncertain diagnoses, Nina can finally spread her wings thanks to the care and education she’s received at the Kennedy Day School at Franciscan Children’s.